Sugar cane eau de vie produced in Brasil. 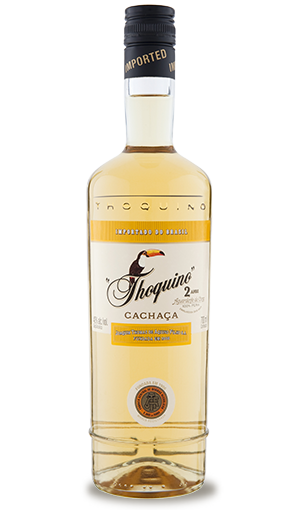 Cachaça THOQUINO is an « Aguardente de cana », obtained by fermentation and then distillation of the fresh sugar cane juice exclusively. The Thoquino Cachaça 2 years, amber colored, has aged for two years in Jetiquibà casks (special Brazilian wood). On the palate, wooded and fruity notes give it roundness and softness.